Positive thoughts give positive results. 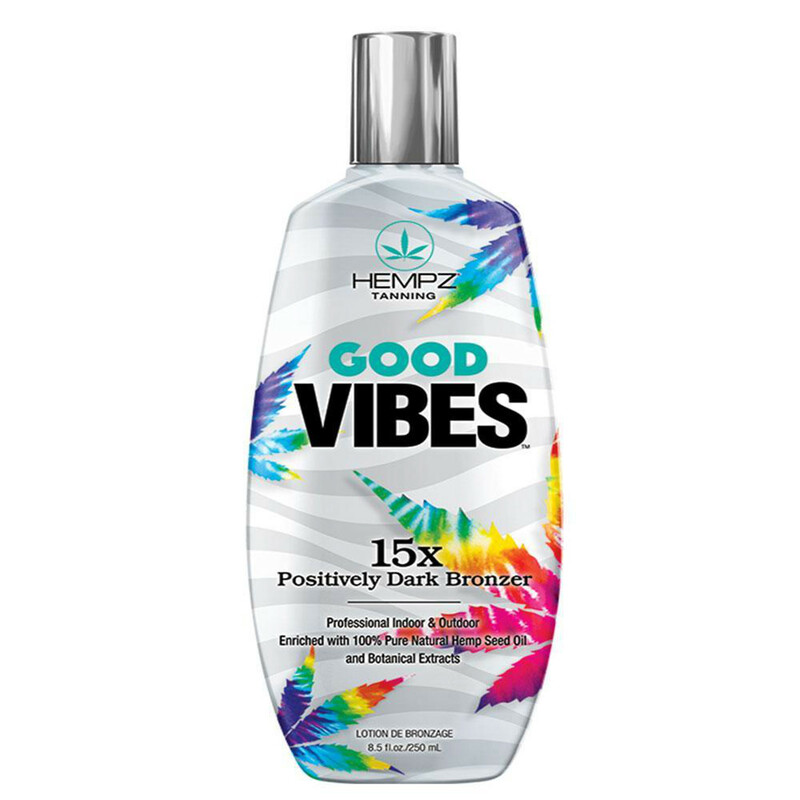 Good Vibes delivers rich, dark color you can believe in. 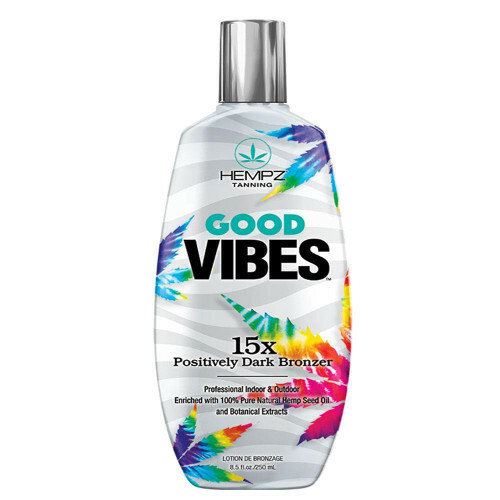 Good things happen whena blend of cucumber extract, shea butter, and coconut oil help calm and soothe for happy skin that leaves you with a bronze, radiant tan. 100% Pure Natural Hemp Seed Oil hydrates and conditions skin for long lasting color. Fragrance: Free Spirit.